The evening started with a specially prepared vegan and gluten free meal (and a cocktail) at the Lyric Bar and Grill Roof Garden in Hammersmith, where we dined al fresco overlooking the Lyric Square. Anyone that knows me knows I love a view! 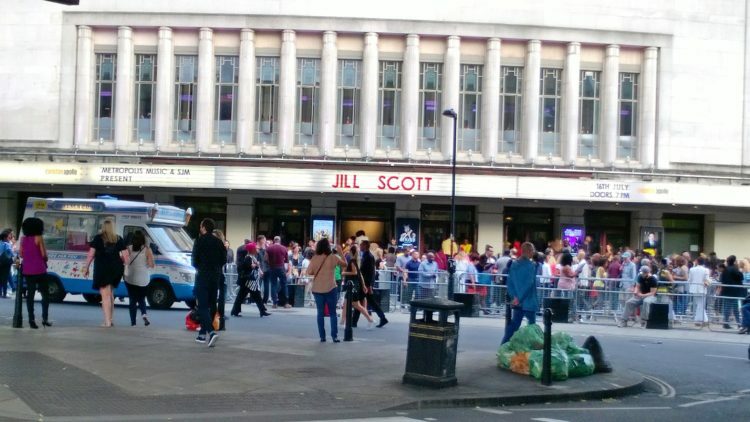 The Jill Scott concert was held at the Eventim Apollo Hammersmith. 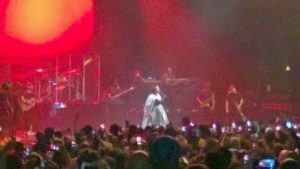 Jill Scott is a multi-talented Neo-Soul, Soul and RnB singer-songwriter, poet and actress. 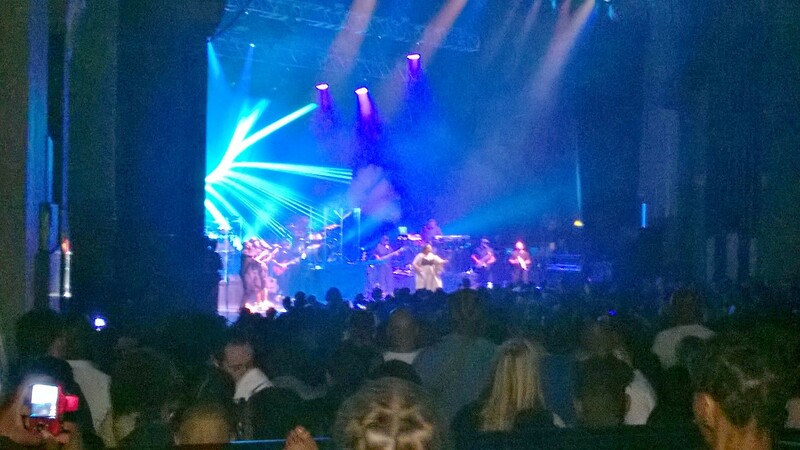 This was the first time I had seen her live and, with this being her only UK show, she did not disappoint. She has a powerful voice with a huge stage presence, she owned that stage. 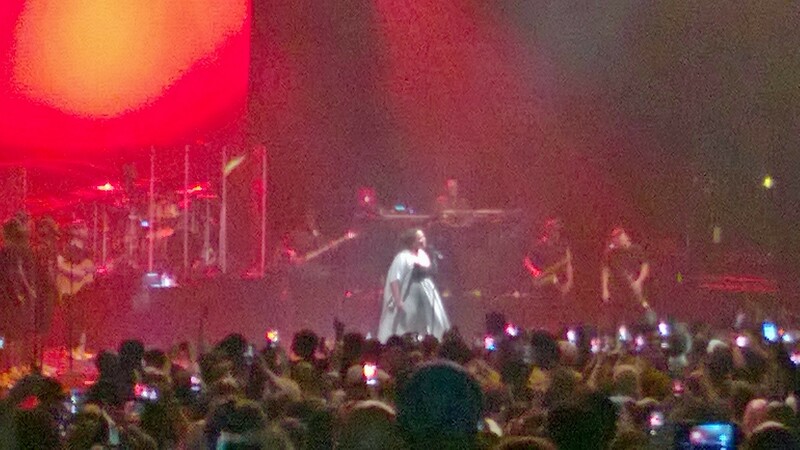 Jill Scott sang all her classic hits as well as her more recent hits, with her fantastic full live band. 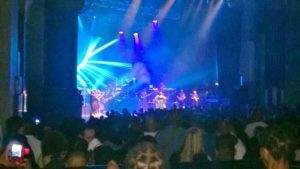 It was a great turn out, the venue was packed full of Jill Scott fans singing her songs back at her and enjoying the full Jill Scott experience. There was a small technical issue with the speakers one side of the venue (our side), which meant for a short time we were unable to hear her clearly, but that did not take anything away from her great performance. 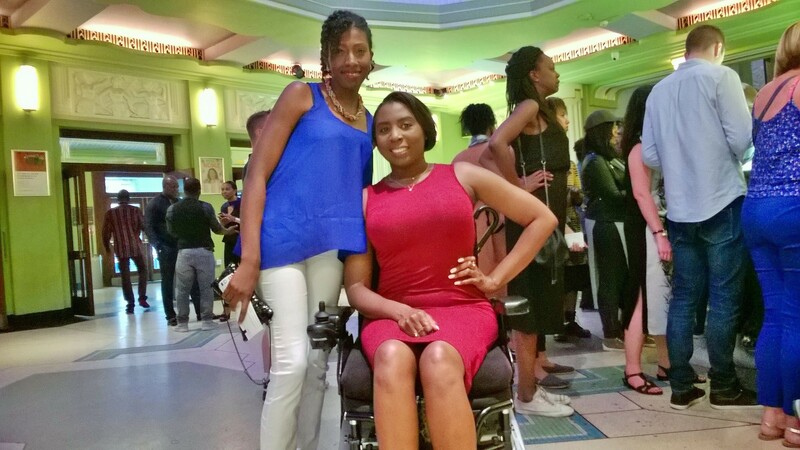 Both the Lyric Bar and Grill Roof Garden and the Eventim Apollo Hammersmith have full wheelchair access and accessible facilities. The staff were friendly and helpful at both venues. 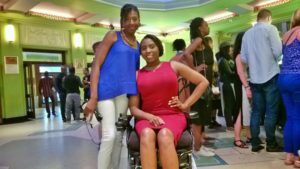 We had a great night from start to finish.